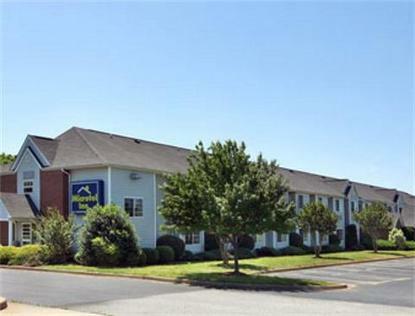 Microtel Inn Duncan/Spartanburg is conveniently located off I 85 exit 63. Greenville/Spartanburg International Airport is approximately 7 miles away. Within three miles are businesses such as BMG, Cryovac, Alcoa, BMW Visitor Center, and Owens Corning. River Falls Golf Course is 2 miles, Hollywood Animal Park is 6 miles, and Westgate Mall is 6 miles. The hotel is located about half way between to chief cities near many attractions like Walnut Grove Plantation, the Price House, and Paris Mountain State Park. Nearby you will find a wide variety of restaurants (McDonalds, Waffle House, Atlanta Bread Co., Chopping Block, Demetres) to satisfy every ones taste.Whether traveling for business or leisure the Microtel Inn has everything you need to conduct business, unwind, and revitalize. Our rooms feature first class amenities including the upgraded plush new Dream Well bedding, a well lit desk with ample work area, a cozy bay window seat, and expanded cable TV. Hair dryers, irons, ironing boards, microwaves and refrigerators are available. Extra value amenities include FREE high speed wireless internet access, FREE local and long distance calls, and complementary continental breakfast. Microtel provides ADA approved rooms for our guests with special needs. Experience for yourself how Microtel offers the best value and lowest rates for quality accommodations. Whatever your needs, be it driving directions, directions to area attractions and restaurants, information about local activities our staff is here to provide assistance. Our friendly, helpful staff looks forward to welcoming you at our hotel soon. Reserve your room online or call 800-771-7171.